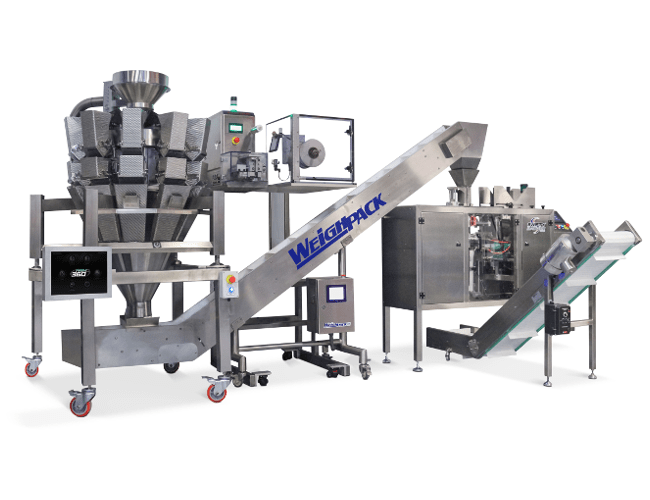 WeighPack Systems is a leader in automatic bagging solutions for pre-made pouches. 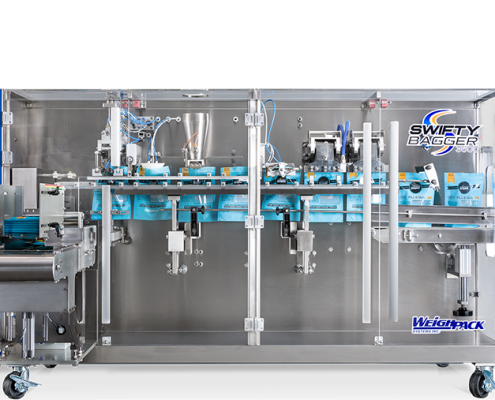 All designed to automatically open, fill and seal a wide range of pouches including stand-up (SUP or SURP), pillow, 4 sided seal, 3 side seal and quad pouches with zippers. Stand up pouches, also known as ‘SUP, SURP or DOY Packs’ offers both the manufacturer and the consumer advantages over other conventional packaging choices. 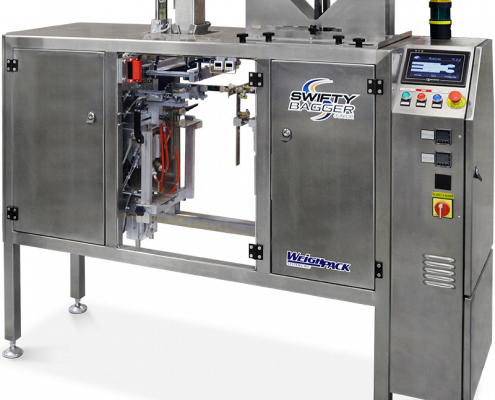 Physically, the benefits of the high gloss finish, the space savings when shipping and recloseable features are all reasons to gravitate to a stand up pouch for packaging your products. In addition, stand-up pouches are very convenient to use especially with a zipper closures or a bottom gusset save shelf space for consumers by storing conveniently in the garage, closet, kitchen cupboard or refrigerator/freezer. 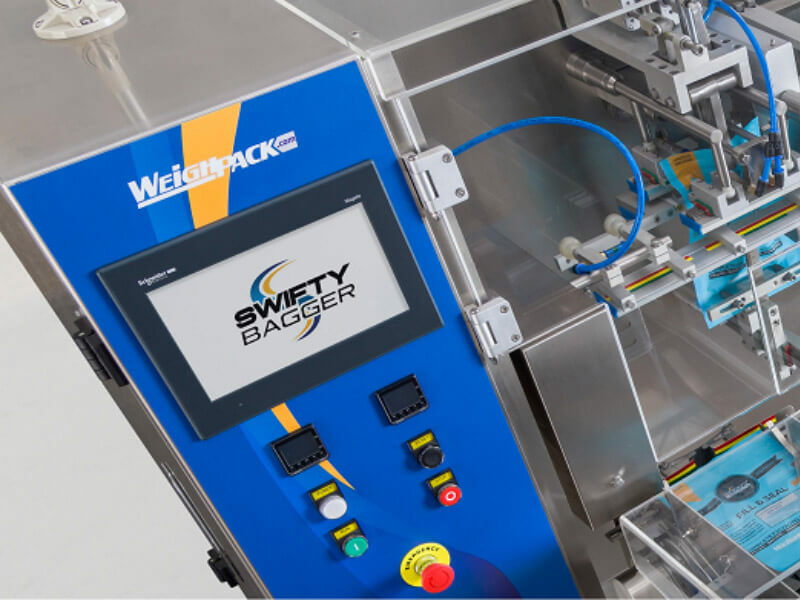 Swifty Bagger™ Junior is perfect for small to medium production rates. 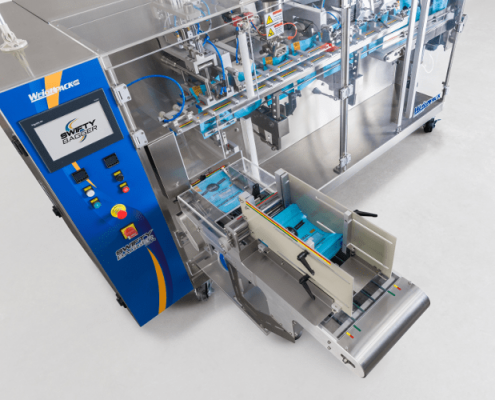 The Junior automatically opens, fills and seals pre-made stand-up pouches (SUP, SURP, DOY) in one process, making it easy to use and extremely compact. 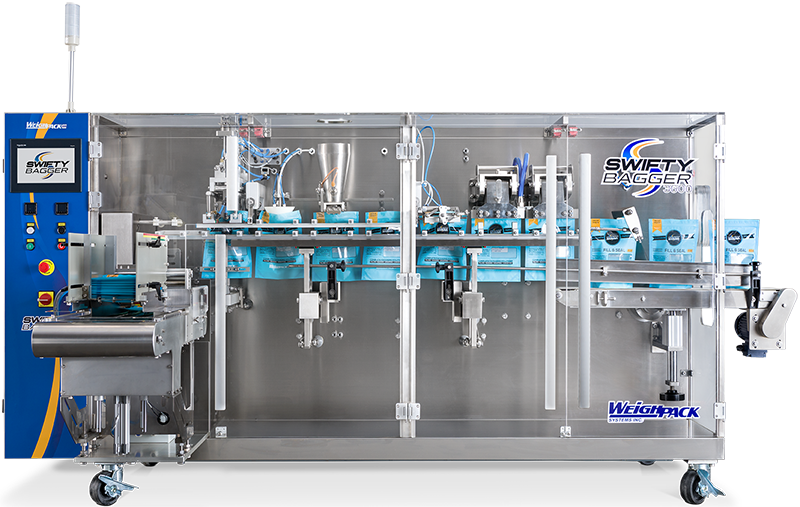 Swifty Bagger™ 3600 and 1200 models are engineered for medium to high production rates. 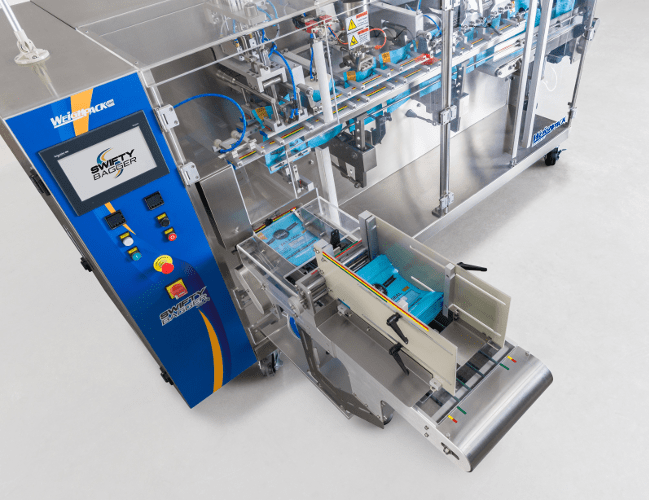 Both cam driven automatic bagging machines are robust in design and built to last the vigor’s of today’s production needs. 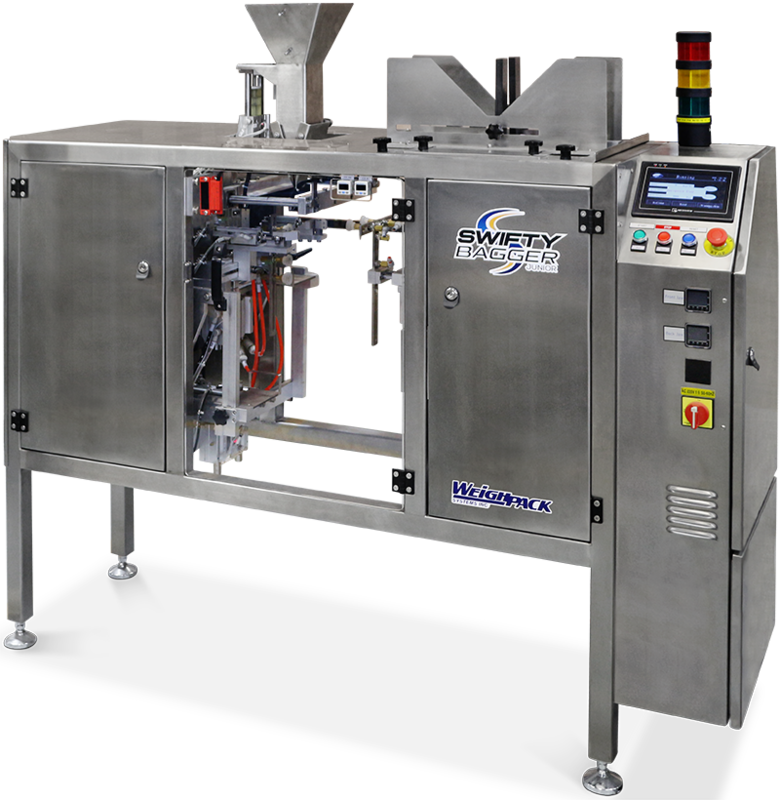 The Swifty Bagger includes a very accessible bag magazine for convenient pouch loading, automatic zipper opening device, bag shaker at the fill station for product leveling and integrated exit conveyor. Fill the following pouches with the Swifty Bagger: Stand up pouch (SUP, SURP, DOY), pillow, gusseted, quad and carry handle.